Everything is awesome. The stock market is having an epic run. My astrological sign is Cancer and Cancers are known to be worriers. I’ve been quite consistent in my Investment Decision posts in that I am quite uncomfortable with the overall stock market, however at the same time, I have continued to implement my investing playbook and buy individual stocks and ETF’s when I see an opportunity to buy high quality assets at a discount. Everything is awesome, but when I see these extreme levels of optimism, I start going through my portfolios and see if it may be time to bank some profits off this euphoria. It turns out that a bunch of stocks I owned had crossed the 20 percent return threshold that I set for myself on every stock or ETF that I purchase. I was faced with several crossroads type decisions with some of the stocks I owned. Should I sell or should I continue to hold on and squeeze more profit? Below is my list of my decisions I made along with rationale. I don’t think there is anything fundamentally wrong with the stocks and the companies themselves. I just think they have had a good run up and that I feel personally comfortable taking some money off the table and bank the decent returns I’ve made. I always say there is never anything bad about selling something at any level of profit. Profit is good! We want to have more money than we started with. On a common US$ basis the stock was up 36.9 percent when I sold it. The stock has really been popping despite all the rhetoric of Amazon taking over the world. I don’t think there is fundmanetally wrong with the business and the steps it is taking will make it a force and counter balance. It’s online sales are surging. The partnership with JD.com is playing great dividends as it is now building up its competency in the e-commerce so it can stand up to Amazon. I sold because of valuation. I would be happy to buy back in again if the stock were to drop again. I’ve held it a few times now and it has always delivered the goods and provided a decent gain. On a common US$ basis , the stock was up 29.7 percent. Again, I sold on valuation. It crossed my 20 percent threshold. I held beyond this you look at apple to apple comparison. I don’t think there is anything fundamentally wrong with business so I’m more than happy to buy back in on lower price. On a common US$ basis stock was up 20.4 percent. The stock when you back out the FX costs did not cross my 20 percent threshold. I sold anyway because this stock has moved pretty far and pretty fast. This is not Google or Amazon here. They just sell eggs. A 26 percent move nominally is pretty sold for this company and I so I thought it could be ripe to pull back. There are still some issues with respect to egg prices remaining low so if this becomes persistent the stock could pull back again. That being said, Cal Maine has always been a solid performer and best of breed business. I would be happy to buy back in at a lower price point. I’ll be keeping it on my watch list. On a common US$ basis stock was up 25.9 percent. Tyson and Cal Maine are similar businesses to the rationale that I applied to Cal Maine is quite appropriate for Tyson. Stock has had a great run also and I was very happy to bank the profit at this point. 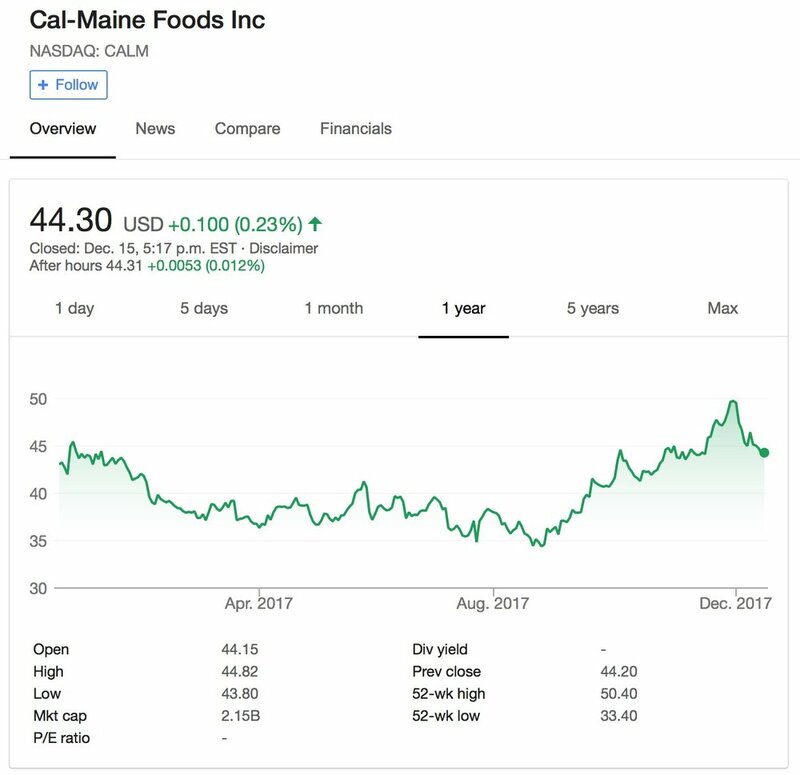 Both Tyson and Cal Maine are quite cyclical in nature at some point the stock is going to fall back and if the business is being run with the same care as it has been historically, then I’m good to buy back in again.